2014 was an amazing year for Hendricks County. As I began my research for some of my favorite blog posts and events from this past year, I asked myself: What makes Hendricks County a great tourist destination? So many ideas came to my mind. Accommodations, experiences, culture, food, people; but in my opinion, when I&apos;m choosing a tourist destination, there are three key ingredients I look for and want to know more about. 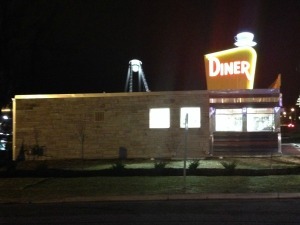 What is that restaurant or business or experience that has been around for years and is a must-do or see when you&apos;re in town? As I was going back through the blog posts for this year, I was pleasantly surprised to see several anniversary milestones recognized in 2014. 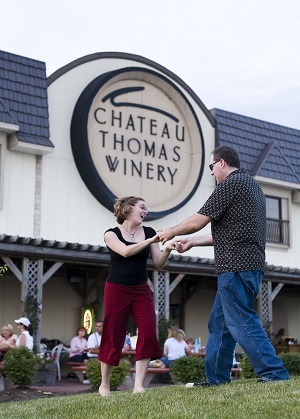 Chateau Thomas Winery celebrated 30 years. Plainfield Recreation and Aquatic Center celebrated their 10-year anniversary. The Hendricks County Rib Fest also celebrated 10 years. A great tourist destination is established. There are businesses that are considered staples: ones that you don&apos;t want to miss on your first trip and look forward to on your return. Events that you plan for months in advance because they just can not be missed. In fact, the blog posts highlighting annual events for the fall and the holidays were the #1 and #3 top read blog posts for this year on Visit Hendricks County. 2015 will be no different. Mayberry Cafe, Beasley&apos;s Orchard, events at Lucas Oil Raceway and North Salem Old Fashioned Days, who will celebrate 40 years this year, are just a few. Hendricks County has a plethora of locally owned, small businesses and annual events, showing established and stable commerce which is a must for any tourist destination. Another key ingredient in my opinion for a hot tourist destination is growth. I was blown away at the number of new businesses established this year in Hendricks County. Android&apos;s Dungeon, Rocket Fizz, Marmalade Sky Bed and Breakfast, Melissa Cain Art Studio, Scotty&apos;s Brewhouse, Heidi Pops Gourmet Popcorn, Arcane Coffee and the Oasis Diner. And even new events like BFE Farms Swap Meet and Farmers Market, Hogan Farms and Mayberry in the Midwest. The #2 most read blog post for this year highlighted three rustic barns ready to host a beautiful wedding, including the newly restored and renovated Cartlidge Barn. Yes, an amazing tourist destination keeps you on your toes by adding and changing and evolving, giving you something new to look forward to on your next visit. Change can be, and in this case, is good. Finally, when I am researching a place to visit I&apos;m looking for the inside scoop. What can I expect? What is that inside nugget that may not be apparent right away? 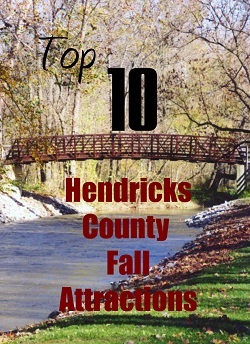 Visit Hendricks County has an amazing collection of top 10 lists. Top 10 lists on fun to have: top 10 ideas for a day trip, top 10 ideas for indoor activities, top 10 family activities. Top 10 lists about specific businesses like Black Swan Brewpub, Natural Valley Ranch and Mayberry Cafe. This Hendricks County Insider blog definitely provides the inside scoop so you can have the full experience of what this destination has to offer. If you are searching for a New Year&apos;s resolution for 2015, how about becoming a subscriber to this blog to stay plugged in to what is going on in Hendricks County? Simply enter your e-mail address and name in the upper left-hand corner of this page under Subscribe. I would never consider myself a traveling expert. However, I&apos;ve planned many vacations, day trips and fun over the years, I&apos;ve had the privilege of traveling to 28 states, the District of Columbia and Canada. In my opinion, Hendricks County really does have the goods to make for a great tourist destination. Do not let 2015 pass you by without a visit! We look forward to hosting you soon!